Hi everyone, it's Jess from Everyday Party Magazine! How is this school year nearly finished? I swear it feels like we were just buying new school supplies last week. Actually, I swear my oldest was just asking me why there wasn't a garden in his kindergarten class, bless his little heart, he thought it was a kinder-GARDEN. Yet, here we are scheduling senior pictures and taking college tours. We have just one more year left, but several of my friends are getting ready to send their babies off into the world in the next few weeks. And some have asked me for tips to help them celebrate the big day for their kids. There are just a few things you can always count on with me, if I can DIY, I will; and if I can save money and make it look amazing, I will! One of the biggest expenses for any party is cake. You need a dessert table centerpiece, obviously, you want it to look amazing. But, you have 40 hungry teenagers, and your entire family, including Cousin Eddie there for the graduation party... so, buy a smaller less expensive cake from your local grocery store or warehouse club, and then buy a undecorated sheet cake from a warehouse club and keep it in the kitchen. The cake you buy for the dessert table can be simple and inexpensive too. 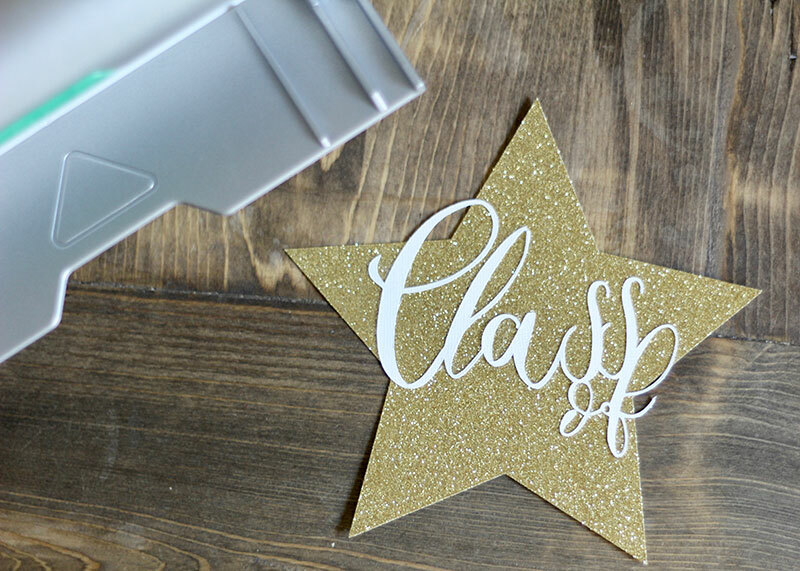 Just spend a few minutes with your Cricut, and make a custom topper! 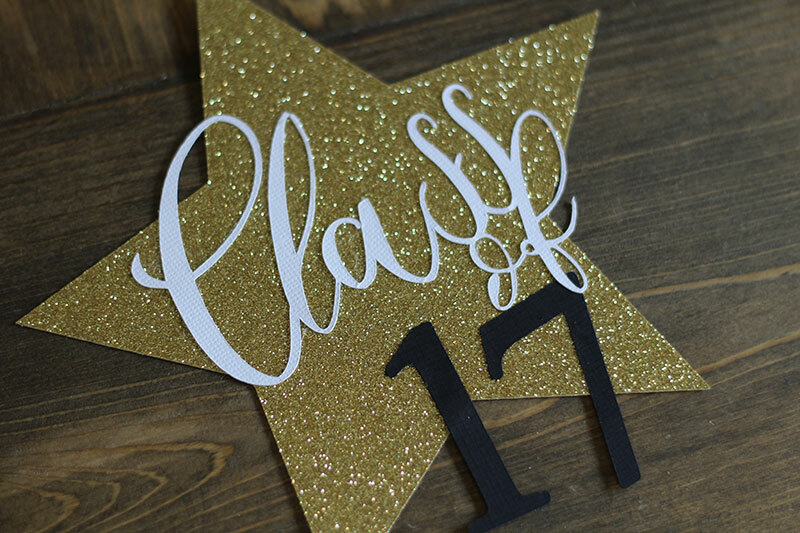 I wanted to use a more delicate font for the Class Of text, and thankfully, Cricut Access has PLENTY to choose from. I used Pen & Ink. Next, I ungrouped the letters, and placed them so that each letter touched the next, then, I selected all the letters and welded them together. The 17 font was more bold. I ungrouped that text as well, but I didn't weld them. 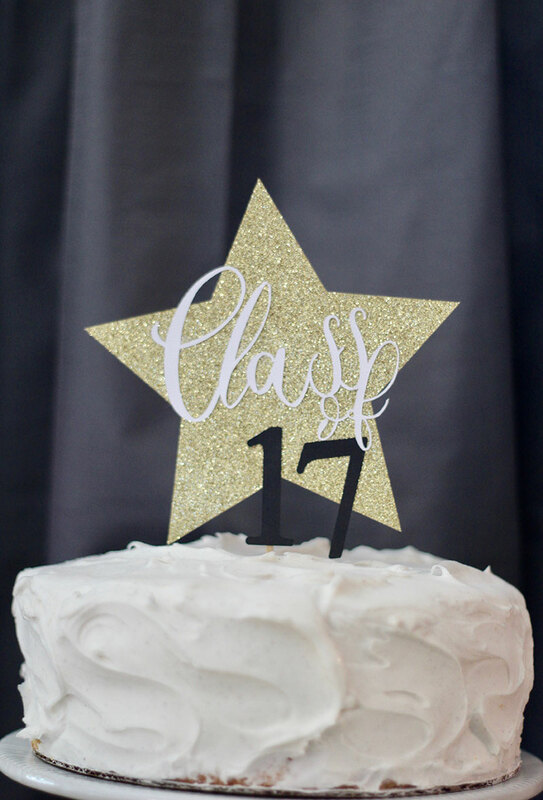 Finally, I added a star to the background to make the cake topper more stable. You could upload your child's school logo or a photo of your graduate too. If you want to use this style, you can access the cut file here. I cut each layer from card stock in the school's colors. Next, I used my Xyron Creative Station to make the Class Of text a sticker. Once I did that, I stuck it onto the star, and carefully rubbed the exposed adhesive on the back off with my finger. I used my Xyron Mega Tape Runner for the 17, and only applied adhesive where it would touch the star. I used a bamboo skewer as the cake pick, and hot glued it to the cake topper. Finally, I stuck the cake topper into my simple white store bought cake and it was party ready! 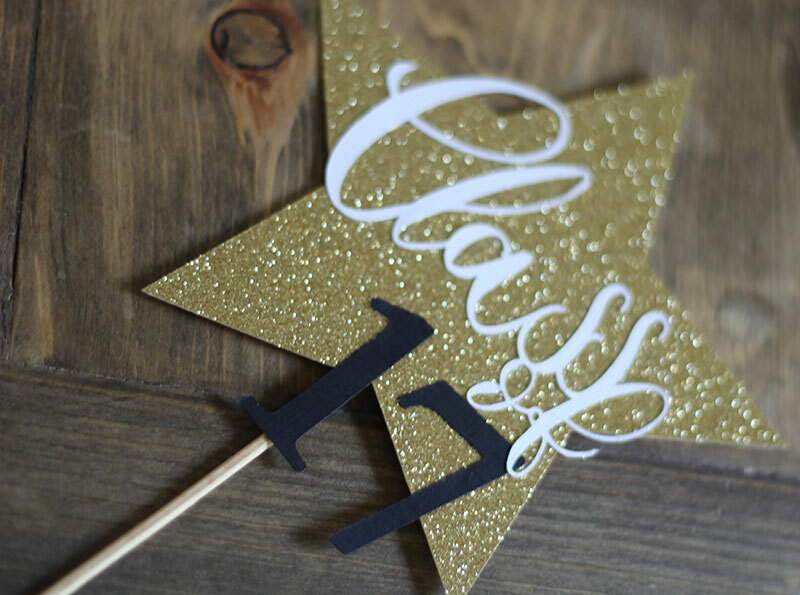 Be sure to hop over to my blog for more graduation party inspiration. 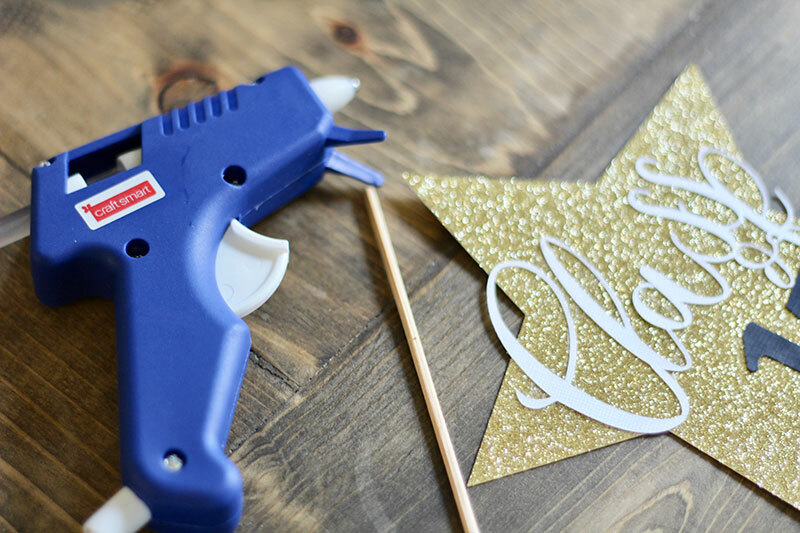 And share all of your favorite Cricut party projects using #CricutMade! I have a Cricut cake and cricut explore air 2. Do I am available to use cricut design with Cricut Cake? If that is possible please let me know how. Can you tell me what the “font” for the numbers are? I would like to use this design for a Class Reunion project. We are having a multi-year reunion, 1974 to 1979. So I need other numbers. I also wonder how to use a “logo” we have a Trojan head. So how would that “print or cut out”?